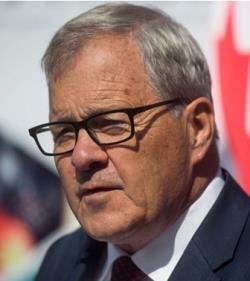 Lawrence MacAulay, Federal Minister of Agriculture and Agri-Food announced $850,000 in funding to develop a scanner (or scammer, depending on the outcome) which will identify infertile eggs and male embryos. Proof of principle has been sparse and initial press reports in 2017 suggested that the technology would be commercially available during late 2018. While a non-invasive method to clearly establish the gender of an embryo before four days of incubation would be a boon to the egg production industry, there have been no commercially acceptable or financially feasible solutions despite claims and hype. Some of the press releases by developers in the U.S. in one case and in the E.U. have been clearly ingenuous, biologically infeasible or downright fraudulent. Entrepreneurs seeking funding have consistently attempted to obtain official recognition for their technology from a university or a government agency, whether in the E.U. or North America. The press releases from the promoters of the Canadian technology would be more persuasive if accompanied by details regarding the principle, proposed rate of processing and the projected capital and operating costs. It is hoped that the Ministry of Agriculture and Agri-Food will not have to explain how public funds were expended on a project in 2018 with no practical results or commercial application by 2020.